Dr. Adam Bowett is an independent furniture historian and Chairman of the Chippendale Society. He was for many years a cataloguer and valuer, firstly with Phillips Auctioneers and subsequently as freelance consultant. Since 1992 he has also worked as an advisor on historic English furniture to public institutions and private clients in both Britain and North America. The former include: The National Trust, English Heritage, Arts Council England, the Victoria and Albert Museum, the Metropolitan Museum of Art, the Strawberry Hill Trust, the Wallace Collection and numerous regional British museums. 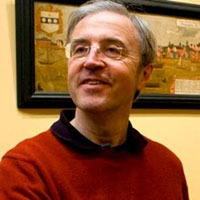 He lectures widely and teaches furniture history at the Victoria and Albert Museum. He publishes work in both popular and academic journals, and is the author of three books on English furniture and furniture-making. He is a vetter for English furniture at the London Masterpiece and BADA fairs. Mr. & Mrs. James R. McNab, Jr.